Looking for 2016 information and events? Visit our Halloween Headquarters! Get your spooky scares and sweet treats while supporting the Arizona economy! 30% more of your money spent at a local business stays in Arizona when compared to the same amount of money spent at a national chain- and that's no trick! Learn about the benefits of shopping locally. Lucky for the witches and ghouls, there are tons of party people celebrating Hallows Eve in style throughout the state and through all of October. Viva la Local Food Festival on Halloween When: This Halloween celebrate the joyous local flavors of Baja Arizona at the Viva La Local Food Festival at Rillito Park on Sunday October 31st! Food, drinks, farmers market, and live music! PLUS, there will be plenty of fun family-friendly activities to celebrate Halloween! $6 Admission (Kids Under 12 FREE). Vampire Dinner at Maynard's Kitchen When: Wednesday, October 28 starting at 8pm. RSVP required. Where: Maynard's Kitchen Maynard's Kitchen invites you to a spooky themed dinner where the only blood being served is in the Blood Orange desserts. Nationally-recognized guest speaker Jerrod Hogle will be talking about the immorality of the mythic vampire. Tickets are $65 per person. Vegetarian options are available. Spooky Halloween Kids Costume ContestWhen: Friday October 30th from 5pm - 8pm. Where: Haggerty Plaza, 316 N. 4th Avenue 4th Avenue invites you and the whole family to celebrate Halloween in costume with scary movies, DJ, trick-or-tricking along the whole block, and costume contents for FREE. More info. Howl the Night Away at the Hacienda Del Sol Resort When: Friday night October 30th, at 7pm Where: 5501 N. Hacienda del Sol Road Swing your bones to the Hacienda Del Sol Resort to spook and shake with the Rillito River Band. For $5 admission: enjoy food, drinks, a costume contest and freaky fun! Halloweek at Hotel Congress When: Dates Vary Throughout October Where: The Hotel Congress, 311 E. Congress St., Tucson Enjoy spine-chilling days devoted to Halloween starting Friday, October 1 and running through Saturday, October 31. They've got Voodoo & Black Magic, Nightmare on Congress, and our annually famous Halloween Party for your devilish pleasure. Bookman's Halloween Costume PartyWhen: October 31, 2015. 2pm - 3pm. Where: Bookman's, 1930 E. Grant Rd. Tucson, AZ 85719 Some spooky fun as we parade around our store in costume. Enjoy Halloween inspired crafts & face painting. There might even be a few treats waiting for those in costume at our help desk! 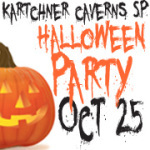 Kartchner Caverns Halloween PartyWhen: October 24, 5pm Where: Kartchner Caverns State Park, Benson Enjoy face painting, children’s games, coloring contest, candy & prizes, plus a costume contest. FREE park admission with costume! Howl-O-Ween at Reid Park Zoo Visit Reid Park Zoo in Tucson on October 23rd, 24th, & 25th for fun, safe trick-or-treating. At Howl-o-Ween you will enjoy costumed characters and decorations galore as you stroll through the Zoo. This is an event for all ages, with limited spooks and scares, but lots of excitement around every corner! The fun starts at 6pm each night or 5:30pm for members. Town of Payson Trunk or Treat FestivalWhen: October 316:00 PM to9:00 PMWhere: Oxbow Saloon - Historic Main St. 607 W Main Street, Payson AZ 85541 Candy will be provided by the Payson Parks, Recreation and Tourism Department and "trunk" participants will be handing it out. 2nd Annual Mini Monster MashWhen: October 31, 12pm - 2pm Where: Bookman's Flagstaff Calling all goblins, ghouls and ghost! Bookman's Flag will have scary movies, cool all hallows eve crafts and of course trick or treating through out the store. Plus a costume contest where the cutest little monster could win cool prizes from yours truly. Halloween Tour at Riordan MansionWhen: October 28-30, 2015 Where: Riordan Mansion State Park, Flagstaff. A special nighttime program during the week of Halloween this year. This very popular guided tour is a storytelling session involving tales of the fantastic and the factual. Boos & Brews Halloween at THAT Brewery & PubWhen: October 31, 2015: 6pm - 10pm Where: Pine, AZ Join the fun with a costume contest, karaoke, prizes, drink specials, and ghoulish food. Mortimer Family Farms Pumpkin FestivalWhen: Dates Vary Where: Mortimer Family Farms, Dewey AZ This huge festival's centerpiece is a 15-acre Pumpkin Patch & 25-acre Corn Maze! Fun for the whole family includes “A-MAIZE-ing” attractions, games, farm activities, live entertainment, barn dance, and much more! Gatsby Masquerade at CorduroyWhen: Thursday October 29th, 2015 Where: Corduroy. 2601 N Central Ave, Phoenix, AZ 85004 Local First and Devour Phoenix partner with Corduroy restaurant to bring you an extravagant pre-Halloween event. Don your favorite costume, find a fun mask, or simply show up to enjoy! Join us for "Gatsby Masquerade", a prohibition era fête that promises stellar drinks, devilish eats, and a festive atmosphere. Four Peaks Brewery Double Pumpkin Ale & CarvingWhen: Friday, October 30th Where: Four Peaks Brewing Company, Tempe. Be one of the first people to taste the new Double Pumpkin Ale from Four Peaks. Drop by for the Pumpkin Carving Contest on October 30th as well. Pumpkin Porter is also currently on tap all days! Celebration of Fall & Howl-O-WeenWhen: October 23 and 24th, 2015 Where: The Phoenix Zoo Two Phoenix Zoo Halloween traditions in one! That’s right; this year Boo at the Zoo is joining forces with Howl-O-Ween for two nights of ghostly fun. Enjoy everything Boo at the Zoo offered, just in the evening. And thrill seekers need not worry, because all the scare Howl-O-Ween is known for is also planned. Enchanted Trail When: October 23, 24 and 25, 2015. 5:30 - 8:00pm Where: Rio Salado Audubon CenterJoin us for a night of free family fun at our annual fall festival, Enchanted Trail, and get a rare glimpse of the Rio Salado by night while learning about Arizona's nocturnal wildlife. Event includes crafts, bat cave, and trick-o-treating. Hula’s 6th Annual Freaky Tiki Halloween Party!When: October 31, 2015 Where: Both Hula’s Locations in Phoenix and Scottsdale Look forward to our special Halloween cocktails, along with other drink specials and live music (at the Phoenix location). We’ll also be tossing treats out to those awesome people who come in costume. Baby Spook Night Out & Sleepover at Arizona SunraysWhen: Saturday, October 20, 2015 Where: Arizona Sunrays Gymnastics & Dance Dress the kids in their costumes and bring them to a special Halloween-themed Kids’ Night Out! Ages 3 to 13 will enjoy a great evening of gymnastics, Halloween-themed games, sports, dancing, jumping in a bounce house and on trampolines, and then wind down the evening by watching a movie. Zombie Walk 7When: Saturday, October 24 Where: Heritage Square, Phoenix Since its inception, Zombie Walk has grown from 200 attendees to 20,000 (!!) in 2013, and is now positioned to become the largest zombie gathering in the world. 2nd Friday Present Nightmare on MainWhen: October 10, 6-10pm Where: Historic Downtown Mesa Call your friends…it’s time for Nightmare on Main! Costume contest! Tour the Haunted Basement! Zombies Walk! Plus 50+ artists showing original artwork, live bands, entertainment, food, and fun with shops and restaurants open late! The Great Pumpkin FestivalWhen: October 23-26, 2014 Where: Desert Botanical Gardens Every autumn the Desert Botanical Garden’s Great Pumpkin Festival is one of the Valley’s favorite places to find that special pumpkin. PoeFest 2015When: Dates Vary Where: Ghost Lounge at the Hotel San Carlos. Produced by Arizona Curriculum Theater, 2015 marks seven smash year of PoeFest, a month-long celebration of the works of Edgar Allan Poe and other horror authors of the era.